Fall is here and football season has returned. One of the more annoying and painful injuries that happens during football is a thigh bruise. Truthfully, they can happen in any sport – like when a soccer or basketball player’s knee hits an opposing player’s thigh. We’ve even had a thigh bruise in a patient who got ran over by a car once! A thigh bruise can be very painful and debilitating. Unfortunately, many people who haven’t actually had a thigh bruise or who don’t currently have one are the first people to say, “C’mon, it’s just a bruise!” Nothing could be further from the truth. Thigh bruises are painful and can really limit athlete’s and non-athletes alike in their ability to walk let alone run. So why are they such a pain – literally? 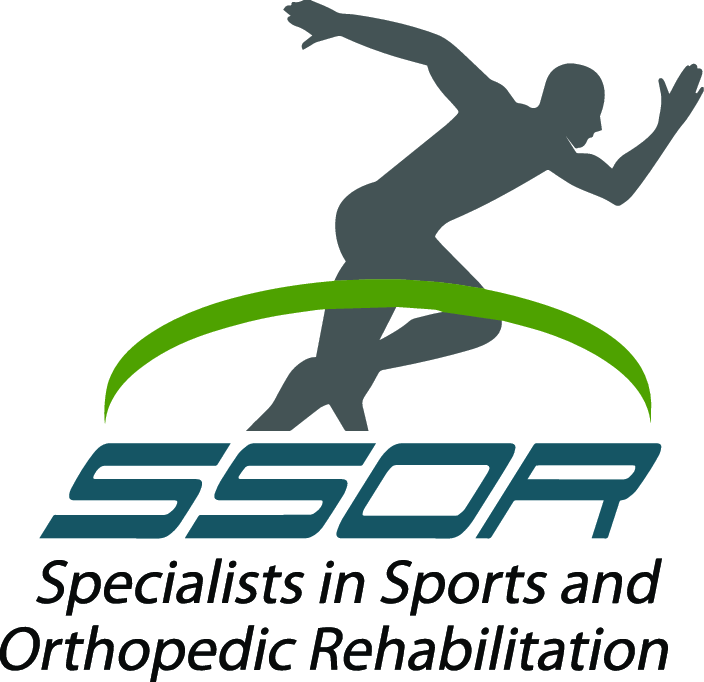 The sports medicine experts at SSOR have the solution to getting these injuries better faster. When someone sustains a blow to the leg, the impact obviously causes a bruise in the tissue. With a blow like that, blood will pool in the area in response to the impact. Because the blood pools in the area, swelling results and puts pressure on the thigh muscles. 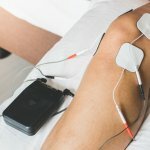 This is why it hurts so much to walk and/or contract the thigh muscles – the bruise itself is painful, but when the muscle contracts, the fluid has nowhere to go and puts pressure on surrounding soft tissues. You may be asking why these are a big deal. The main problem with these is that if the blood stays pooled in the thigh, almost like stagnant water, the fluid can harden like Jell-O does. If that happens, bone can actually be formed inside of muscle which can be very painful and will restrict function. The condition is called myositis ossificans and it’s not something a young athlete wants to deal with. If left untreated, this could be the result. So what is an athlete or person suffering with this to do? The main thing you should do initially is to ice it in a flexed position. Basically, lay down on your back or sit up and bend your knee as far back as it will go (get your heel as close to your behind as possible). Once you do that, place the ice bag on your thigh and wrap the bag in place with the knee bent, and leave it on there for 15-20 minutes. Repeat this every hour. The knee flexed position effectively helps reduce that blood pooling and will help get you back on your feet faster. Once it feels better to move your thigh, ride an exercise bike slowly to further help get that fluid out of your leg. As biking becomes painless, you can begin squats, step ups, lunges, etc to help get your legs back in shape. If you are an athlete and you have to go back to practice, consider wearing an extra pad or a padded knee sleeve. You should make sure you can run without a limp and with minimal to no pain before you play in a game. A thigh bruise is not something to be taken lightly and is a legitimate injury that can cause an athlete to miss some time. However, proper treatment of these will expedite return to play. Talk to a sports physical therapist at SSOR about how to treat these more in-depth. We get you results quickly and can help you get back to doing what you love. Give us a call at (913) 904-1128.